The Lancer Tactical Soft Shell Jacket w/ Hood is a great option for all types of weather. 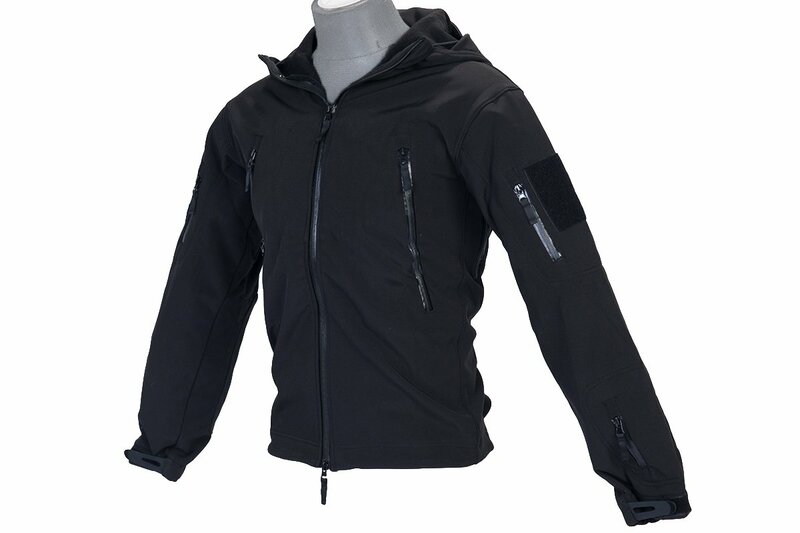 The shell is made out of 100% nylon with 100% polyester backing for a comfortable and durable light jacket. The jacket has a lined stand up collar with storage space for the hood to tuck away. On this jacket are multiple pockets for storing various items in. The side and back have vent zippers to allow airflow into the jacket to cool the user down in inclement weather. Bungee cords are along the waist and hood to ensure proper fitment of the jacket for the wearer. This jacket comes in black and is sized small.